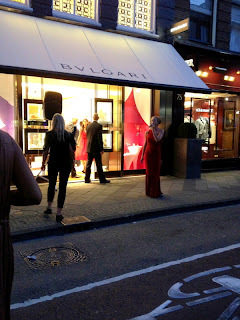 Joy 'n Spice: Outfit & Event : Vogue Fashion night out ! 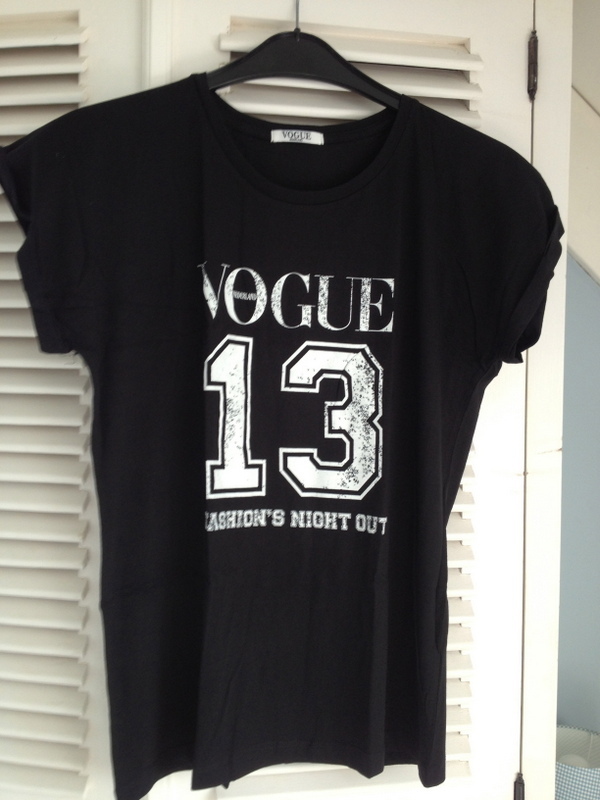 Lovely readers, I had such a great time at the Vogue Fashion Night Out yesterday ! I can recommend everyone to go there, not only if you're into fashion, but just to feel the vibe that is in the air on such an event. There were so many different people with different sense of style, I loved it ! 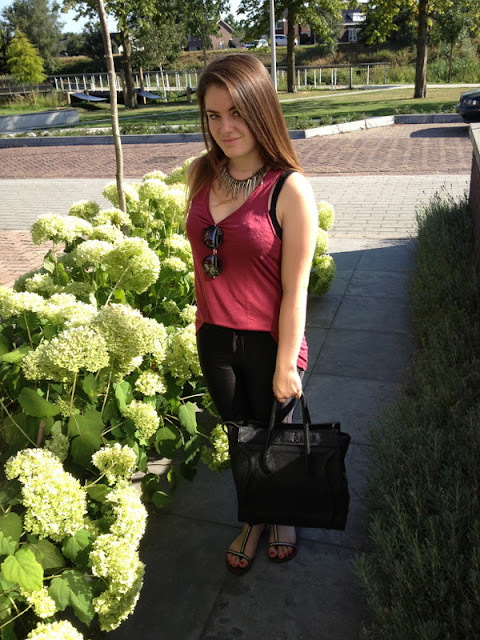 Here I want to show you what I was wearing and where I've been. I went to Amsterdam with my best friend. There was champagne everywhere so that was a big plus for me ! Sipping Moet Chandon at Louis Vuitton and having fun in the Micheal Kors store. Damn, I love those bags so much ! 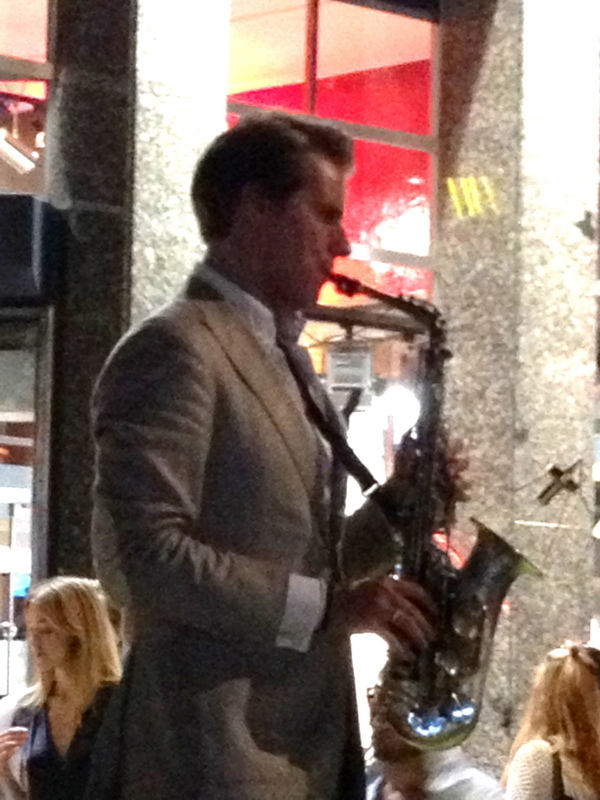 Also, there was music everywhere on the streets. Something I personally love ! 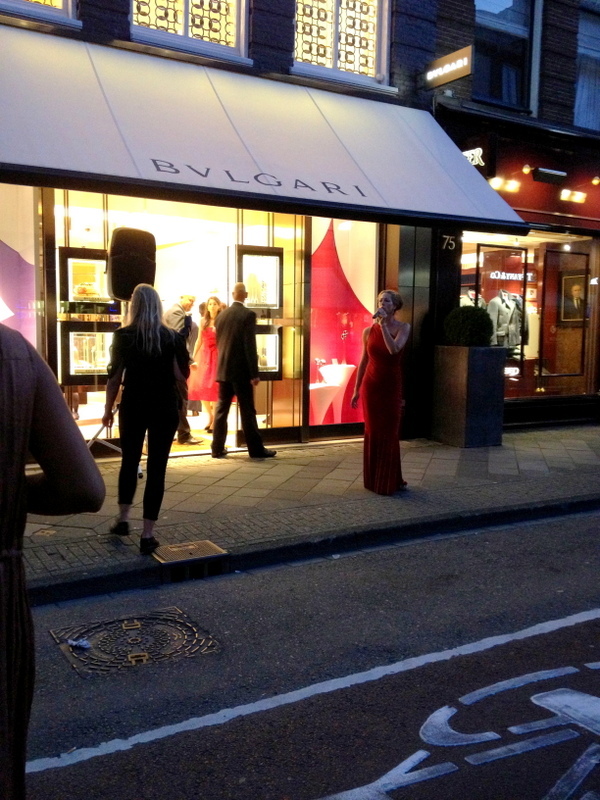 I was so impressed by the lady singing opera.. it was brilliant ! Also I love the sax, and this guy was standing next to a Lamborghini, at first sight he seemed to be standing on it, but there was a platform next to the car.. I expected to see Candy Dulfer ( a dutch female saxplayer), but I just missed her..
My best friend and I had a great time laughing and sipping all the champagne we could get. We first walked into a Gstar store, a brand I totally love ! I spotted some amazing jackets in their new collection, but they are known for their jeans. 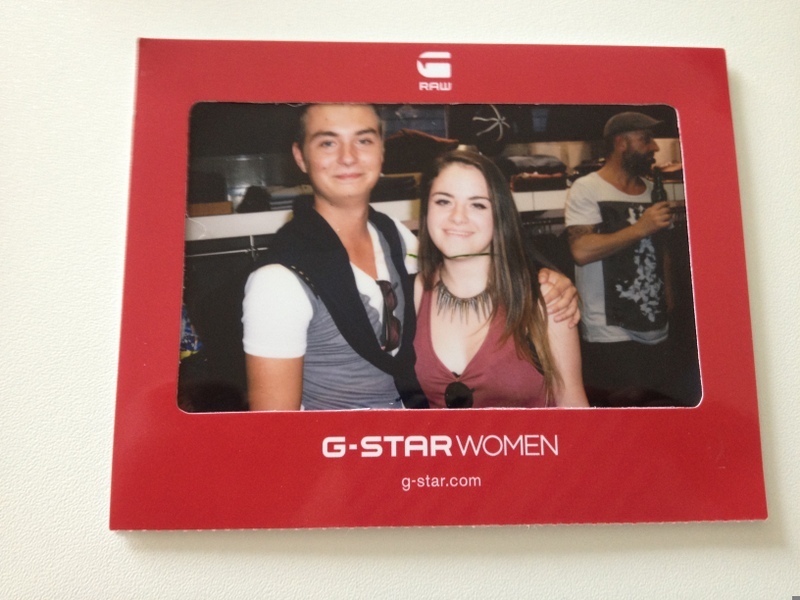 At the store we immediately had our picture taken, a polaroid picture. Very cute ! I had a great evening with a lot of fun and in the end I got a nice shirt from Vogue, Thanks ! 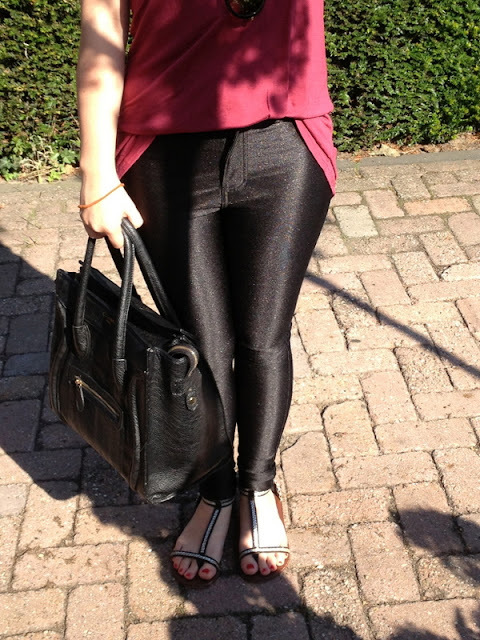 Loose basic burgundy top - H&M, Disco Pants - nelly.com, Slippers - Shoeline Eindhoven, Bag - Celine Paris, Accessoires - Sasha shoes.